Ryanair jobs: how to work there? Ryanair got a lot of bad press in 2013 for charging its employees for training course, deducting money from their salary to cover expensive uniforms and not paying air hostesses for three months of the year but forbidding them to work anywhere else, but recent reports suggest that the Irish low-cost airline has changed its ways. If you still want to know how to work in Ryanair, we’ve got a guide to the places to look for jobs with the airline. Getting a job with an airline isn’t too dissimilar to getting any other job as you can apply online or through an agency. Websites like aviationjobsearch.com and indeed.co.uk list jobs with the airline including positions like training coordinator, stores person, and more specialist roles like B1 Engineer – PIK and B2 Avionics Engineer – PIK. As with other jobs that involve interacting with people in other countries, you’ll get paid a premium if you can speak a second language. Cabin crew that can speak more than one language will also have a great opportunity to base themselves in another country in the future if they can make a career with Ryanair. The Irish firm promise that hard work is rewarded as they champion career progression. The company’s minimum requirements of good written and spoken English, reasonable computer skills and an EU passport won’t push too many enthusiastic candidates away. 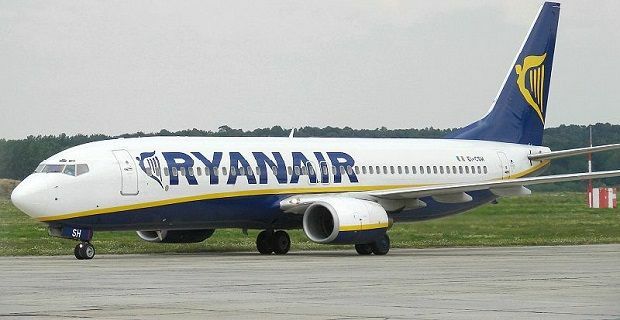 Ryanair are one of Europe’s lowest cost airlines. They operate from 57 bases across the continent and carry out 1,600 flights per day. That’s half a million opportunities a year to fly with them. Finding out how to work in Ryanair isn’t too difficult initially, but it does involve training through Crewlink and a lot of dedication.